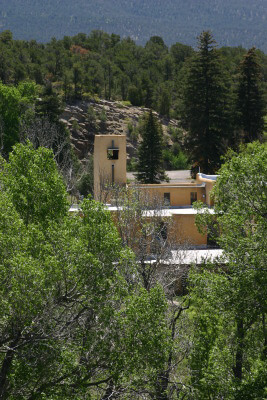 This retreat offers the unique opportunity to practice Insight Meditation at Blazing Mountain Retreat Center. 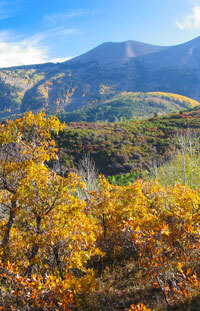 Blazing Mountain is situated on the sacred land of Crestone, Colorado. 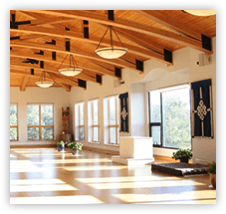 The surrounding environment and beautifully designed meditation hall provide a spacious setting for practice. The comfortable accommodations and healthy vegetarian meals will nurture your well-being. Sponsored by, and more information available from the Salida Sangha. Cost: $170 - $220 for room and 3 nourishing meals a day. Suggested donation to the teachers: $100 - $400. We live in a culture that wants to know—we chart and graph and test and outline. We codify and classify and name. But what do we really know? What is all this messiness and mystery that breeds underneath our longing for orderliness and certainty? What would happen if we could really rest in uncertainty? How deep might that relaxation go? How much more open might our lives be if we made friends with letting go? We’ll read poems that don’t bring answers, poems that lead us deeper into paradox. We’ll sit in the midst of the not-knowing, sit with our joys, our challenges, the what is here of each moment. We’ll write our own explorations of what if and what else and see what even a small bit of wonder might do … if you’re willing to risk a little, meditation and writing can open doors where before you didn’t even realize a door existed. Spiritual doors. Healing doors. Doors where there used to be walls. No previous writing experience required. No previous meditation experience required. This poetry and meditation weekend is for anyone who is curious about weaving spiritual awakening and the creative poetic impulse. We will retreat into the deepness of winter to appreciate and release the Old Year and welcome and anticipate the vision and renewal of the New Year. We will sink into the deep quiet of these darkest days of the year and celebrate turning once more towards the increasing light and warmth. On New Year’s Eve, you are invited to stay up until Midnight with a slow, gentle evening of sharing blessings, chants, words and quiet, treats, and candles. It is a lovely way to celebrate together. Registration: check the retreats list at slcinsight.org/. Registration expected to open by March 28th. In this daylong we will practice ease, relaxation, and connection, cultivating an open and joyful response to each moment of our lives. Our response in each moment ultimately creates our individual experience, as well as well as allowing for skillful participation in the challenges of our lives. In our meditation practice we can closely examine and wisely adjust our relationship to our experience. Through this practice, we move toward ease, joy, and responsiveness. Prerequisite: Completion of at least two 5-night or longer silent Insight Meditation retreats or permission of the teachers. We will begin by settling our minds and bodies with sitting and moving forms of meditation. As we settle, we will begin to examine the different dimensions of experience in our bodies, thoughts, and emotions. As we continue, we can also tune in more to an increasingly unconfined and luminous awareness beyond reactivity, that is a source of freedom, wisdom, and compassion, both in retreat practice and daily life. This 6-month program is intended specifically for graduates of the Dharma in Daily Life program. Others who have previously practiced with Susie are welcome to apply. Spaces are limited due to the retreat center and individual sessions provided between retreats. Program includes 3 retreats, 2 group calls between retreats, and individual sessions between retreats. Partial participation is not possible. This retreat has passed. See this link for more information. 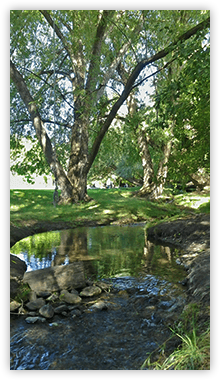 This residential retreat will be an opportunity to sit and walk in silent meditation practice in a lush pastoral setting. Looking deeply into the heart of our experience, we will examine the habits of mind that cause us to suffer. When we bring our compassionate attention to moment to moment experience, our hearts and minds relax and we can access freedom, contentment and well -being. 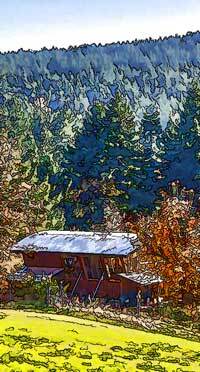 This retreat will take place primarily outside, with camping or bunk house accommodations available. In addition to sitting and walking meditation, there will be dharma talks, meetings with the teachers, chanting and mindful movement. Those new to meditation and those with experience are welcome. Prerequisite: Two 7-night or three 5-night insight retreats. Concentration (samadhi), the collection and unification of the mind, was emphasized by the Buddha as one of the aspects of the Eightfold Path. It can bring joy to your practice and lead to the skillful use of pleasure in the meditative process. Whatever your level of practice, you can improve your Insight Meditation (Vipassana) by strengthening your concentration skills. A silent trip though the spectacular redrock of Canyonlands National Park on the calm waters of the Green River. Easy partial days on the river with layover days of mediation practice and exploring. All canoe equipment provided. No experience necessary. This Meditation and Poetry Retreat will be held in the container of a silent meditation retreat. There will be practice instructions, guided meditations, silent sitting and walking meditation. Poetry practice will be woven into our days, with periods of instruction, time to write, and time to share what we have written and discovered. This combination of silence and discovery can be a magical process that leads us deep into ourselves and into the world. No previous experience in meditation or poetry is required to participate. 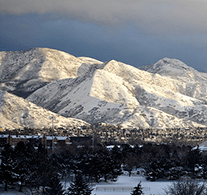 Information and registration from the host, the Cache Valley Sangha. Registration for full program required; application period open through Sept. 10. The Meditation and Poetry Retreat will be held in the container of a silent meditation retreat. There will be practice instructions, guided meditations, silent sitting, and walking meditation. Poetry practice will be woven into our days, with periods of instruction, time to write, and time to share what we have written and discovered. This combination of silence and discovery can be a magical process that leads us deep into ourselves and into the world. No previous experience in meditation or poetry is required to participate. 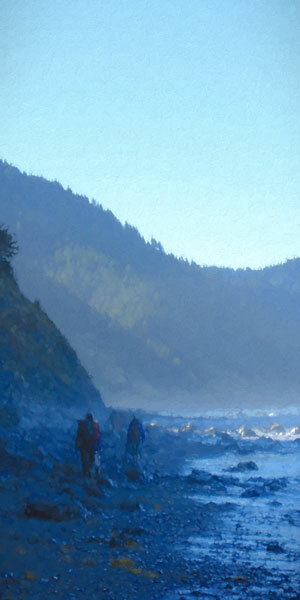 This retreat is an opportunity to "return home" to our true, wild nature to deepen our practice. 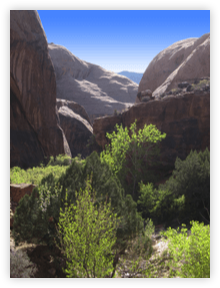 Immersed the extraordinary wilderness of Escalante in Utah and in the quiet of our meditation practice, we will open ourselves to the interconnectedness, preciousness, and beauty of our true nature. Sitting in the beauty of canyon country gives us ready access to rapture, that quality of delighted interest and awe, and one of the seven factors of enlightenment. At this point, we have moved to a waitlist for this retreat. Please complete the Online Registration Form to reserve your space on the waitlist. People drop out every year and at least some of the people on the waitlist are able to go. A deposit is required but fully refundable for those on the waitlist who do not get a space on the retreat. Registration for program required; closes August 1, 2018. More info and application. The Lost Coast is the longest, wildest stretch of the northern California Coast. Carrying daypacks and lunch, we hike nine miles along the rocky shore, dropping into silence along the way, and arrive at a place that feels sacred and magical. Nestled between the ocean and the mountains, we will practice with the surf, the birds and the sea breezes as our supports. Camping and indoor sleeping arrangements are available. Hosted by the Saskatoon Insight Meditation Community. Registration for program required; closes March 1, 2019. Info & Registration: To accommodate expected high demand, this retreat will use a lottery for registration. Lottery is open through April 30th. Please find more info and a link to register here: http://abqinsight.org/awakening-love-and-insight/. Insight Meditation is a simple and direct practice based on moment-to-moment awareness, a technique that opens the heart and clears the mind. 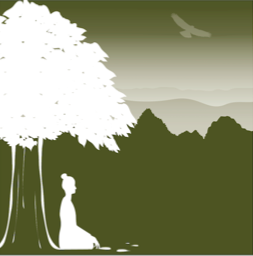 In practicing mindfulness in silence throughout the day—in sitting and walking meditation–we learn to be aware of our experience from a place of stillness and equanimity. As we come to see more clearly, insight deepens, and compassion and wisdom can arise. This retreat, designed for beginners and experienced practitioners alike, will include meditation instruction, dharma talks, individual practice discussions with the teacher and group discussion time. There is a beautiful meditation space at the Center, and we will also sit outside as conditions allow. Location: Trip begins and ends in Loreto, Baja California, Mexico. Direct flights available from L.A. 4-5 days a week. Paddling in the Sea of Cortez provides a unique opportunity to explore the power of a silent meditation retreat while immersed in the beauty and wildness of the Sea of Cortez. We will participate in an age-old tradition of going into the wilderness as a support for spiritual practice and inquiry. Immersed in this coastal wilderness, we will use meditation practices to increase our receptivity to the interconnectedness, preciousness and beauty that surround us. Through our enhanced openness and quiet, we have the opportunity to explore deeply the truth of our own nature. We will be in a supportive community as we explore this inner and outer journey. And our community will most likely be inter-species as we interact with the numerous other animals that live in and around the Sea of Cortez—fish, dolphins, whales, manta rays, birds, and the many other creatures of these remote islands. This trip is a rare opportunity to travel behind the scenes in the Himalayan Kingdom of Bhutan, a country steeped in centuries of Buddhist life and practice. Monastic life is active and strong in Bhutan, and we will practice in many monasteries, listen to the chanting monks and nuns, and meet with local Rinpoches who guide monastic life. On most days we will walk – visiting remote temples, exploring villages, or hiking from town to town. We will support our journey and enrich our experience through meditation practice and personal reflection.